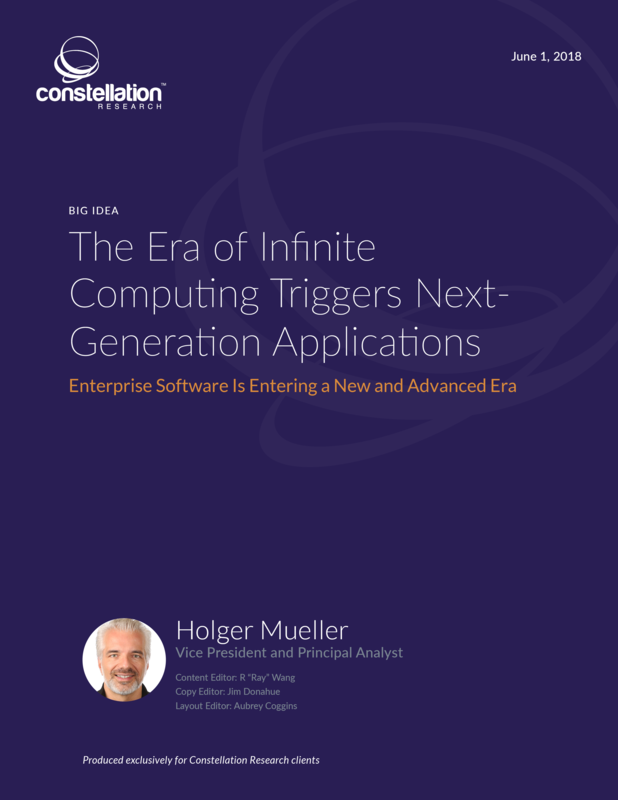 The Era of Infinite Computing Triggers Next-Generation Applications | Constellation Research Inc. This report describes how, for the first time, the demands of business best practices have been surpassed by the capabilities of technology. This creates an opportunity for enterprises to reinvent enterprise software and disrupt best practices in their industry or even create new business models. In this report, we share the universal seven use cases for which enterprises are building next-generation applications. We also define the qualities required for next-generation applications. The report concludes with a look into options and recommendations for CxOs.